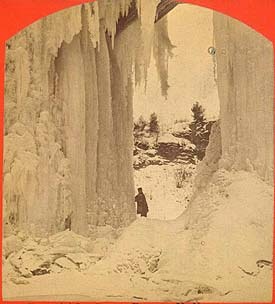 The frozen waterfalls of scenic areas such as Portage and Niagara Falls were popular stereo subjects in the1870's. 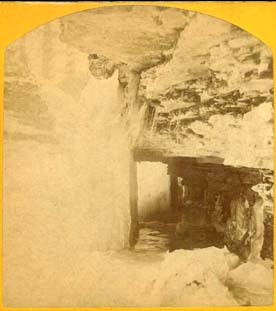 Shown below are two views taken in this time period by the well-known local photographer, L. E. Walker. "#757.-Glimpse of Portage RR Bridge(winter)."